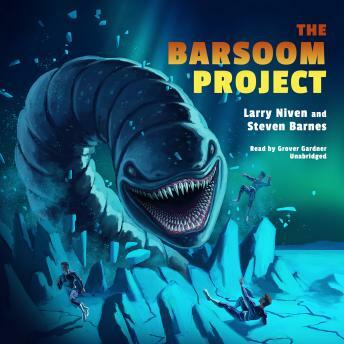 A visionary science fiction classic from Larry Niven and Steven BarnesThe Barsoom Project is the direct sequel to 1981's Dream Park. Eviane's first visit to the state-of-art amusement arena Dream Park ended in disaster: the special effects had seemed more real than life ... until the holograms she was shooting with live ammunition turned out to be solid flesh and blood ... and very, very dead.Haunted by the past, rebounding from a lengthy spell in a mental hospital, she has returned to Dream Park to exorcise a nightmare that has become reality. But in Dream Park, nothing is what it seems. The Inuit mythology controlling the images is part of a "Fat Ripper Special" designed to implant new behavioral memes. The players are struggling against the game master, one another, and their own demons. And there is a killer who wants to ensure Eviane never regains her memory ... no matter what it costs.Blending together hard science fiction with virtual reality and RPG-like fantasy games, The Barsoom Project is science fiction at the cutting edge and a classic creation from two of the genre's most beloved writers.